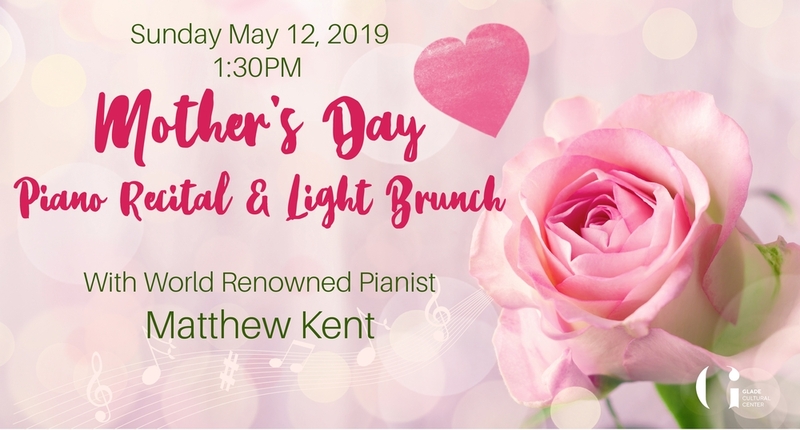 Make this Mother's Day a special celebration with the world renowned pianist Matthew Kent! Enjoy the piano recital in the wonderful museum setting at Glade Arts Foundation. Light brunch will be served along with two complementary drinks of your choice from the bar. Children 12 years of age and younger are free.